This is just a brief trip report of my Pattaya to Cambodia visa run on 20th March 2018. This time I decided to do the visa run with 1st Class visa service, based at the Queen Victoria pub on Soi 6. I took a few notes of the schedule along the way, and it went as follows, see below. The mini bus is scheduled to leave the Queen Victoria at 0645, the price includes a breakfast if you get there early enough. You don’t get a full breakfast, you have choice of items such as bacon sandwich, cereal, beans on toast, omelette etc. I will just add, the bacon sandwich was excellent. I arrived at the Queen Vic at 0600, had breakfast, and the mini bus departed the Queen Vic at 06:30. Stopped at service station for refreshments and toilet break at 08:05. Commenced journey to the Cambodia border at 08:20. 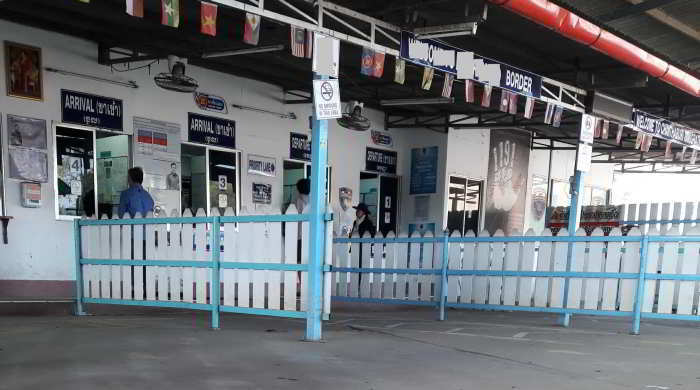 Arrived at the Cambodia border (Ban Pakkad) at 09:54. Departed Thailand at border control, then handed passport to the driver. In the meantime we waited at passport control until the driver arrived back with our passports, which now had the necessary Cambodia visa inside, and entry and exit stamps in and out of Cambodia. All we were required to do now was re-enter Thailand. Stop for refreshment and toilet break at 12:25. Commence journey to Pattaya at 12:50. At the current time (March 2018) the schedule, the routine, and the border crossing location are all identical to the Pattaya to Cambodia visa run with Five Star Visa. The exception being, 1st Class arrived back in Pattaya approximately one hour earlier. How was the journey to and from Cambodia? Most importantly for me, the driver was safe. There was no harum-scarum tailgating, sling-shotting, or high speed cornering. The mini bus was an 8 seater, including the driver. 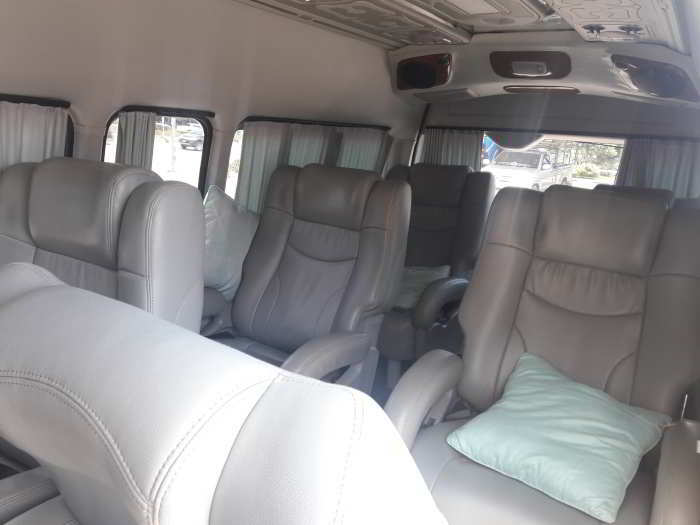 The seats (as you see in the photo below) were large and comfortable, and leg room is only restrictive if the passenger in front decides to fully recline his seat. There’s always one, isn’t there. As I said, at the border you depart Thailand and then hand your passport to the driver. Seeing as the Thailand and Cambodia immigration arrival and departure counters (see photo below) are all in the same vicinity, that’s the place you wait until the driver returns with your passport. To be sure you get a seat it’s best to book at least a few days in advance. You can go along to the Queen Victoria pub on Soi 6 and book in person. For more information please visit the 1st Class visa website.